Freedom Plaza at Sun City Center is a beautiful senior community on 140 acres. Our residents enjoy several fun activities including an 18 hole golf course, walking trails and several swimming pools. Our residents explore new skills in our wood work shop and auditorium. 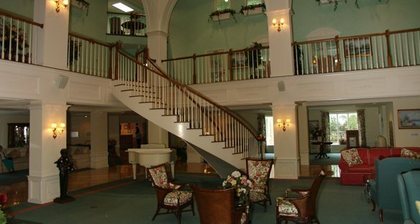 We offer seven restaurants and after dinner our residents can often be found playing shuffleboard and horse shoes. Freedom Plaza Sun City Center, FL - Only Lifecare Community in Sun City Center, FL!